When people see my work and compliment me for my creativity and talent, I'm always surprised. My dad was an amazing artist and I always felt like the "artist gene" wasn't passed down to me. 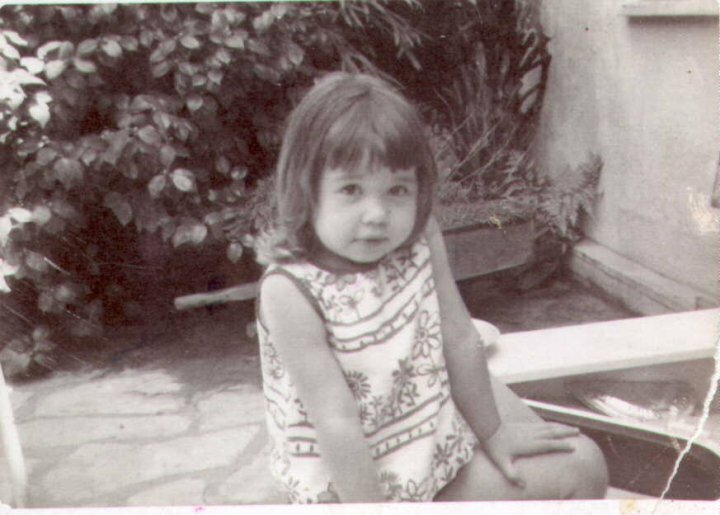 My sister, Kathy, on the other hand, seemed to have Dad's artistic talents. She can actually draw things while I can't go beyond simple stick figures. 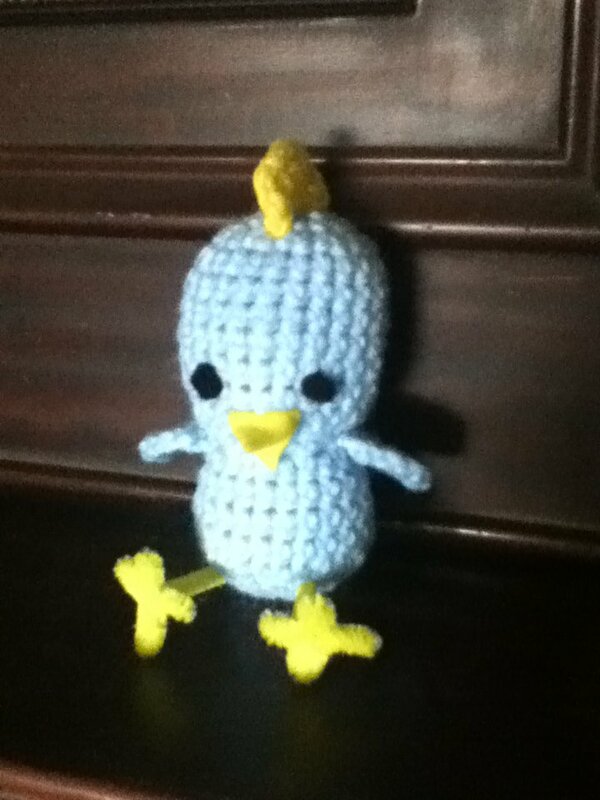 Her most recent creation is this adorable crocheted chick for Easter. 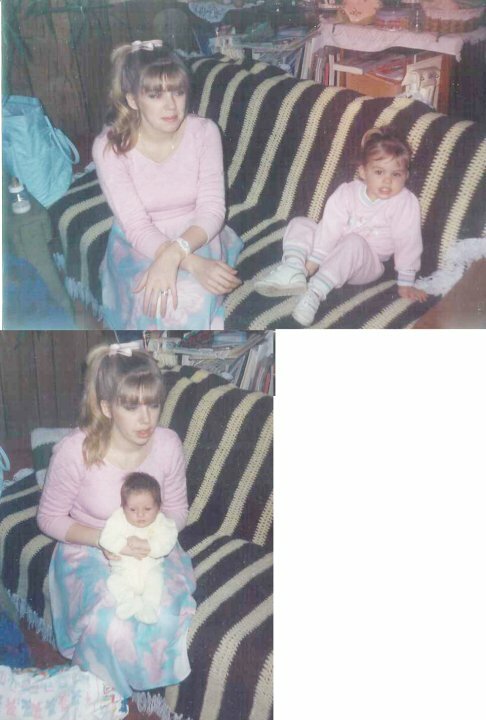 Growing up, the two of us had some interesting adventures. I was the only kid out of five who had brown hair. It wasn't easy having a sister who looked like a beautiful Barbie doll either. Here she is, all these years later, and she doesn't look like she's aged at all. I can't wait to see what fun things she decides to create with her new toy and I'm glad I could spread the Cricut craziness. We would still like to get a cutter that better suits our needs, but we'll make good use of our Cricut until we get that opportunity. Last week's Etsy Wednesday pick is Crafty Staci. I was impressed that she's donating 100% of the profit from all sales in April and May to a fund for a police officer with leukemia. 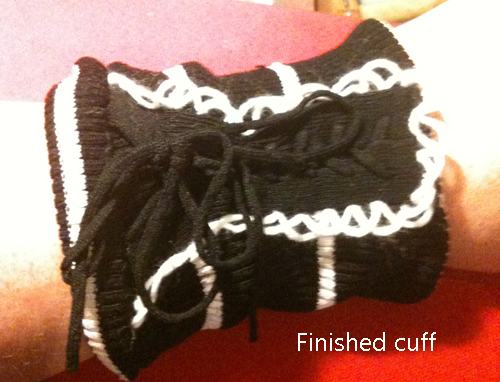 The only thing more awesome than wonderful handmade items is using them to help others. 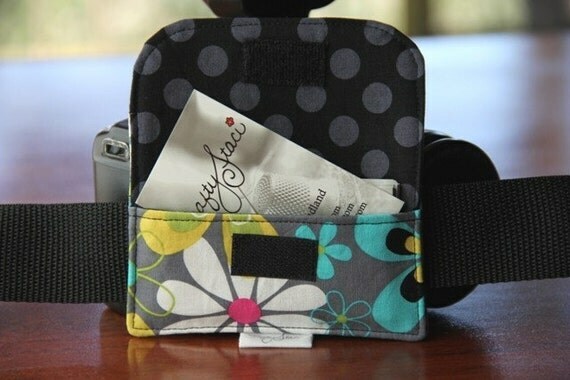 My favorite treasure in Staci's shop was this business card pocket to put on your camera strap. I can see adding attaching this to the strap of my laptop bag as well. So cute and very functional! I've added this to the top of my wish list. Wondering if you have any intellectual property? 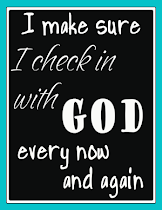 It's very likely that you do. Intellectual property includes things like trademarks, patents, copyrights, trade secrets, and even domain names. These are intangibles - things that can't be touched or physically measured. Ideas, inventions, designs, business names, etc. need to be protected unless you just want to give your business away. At a recent Women's Business Network meeting, Utah patent attorney Rand Bateman explained just how important it is to understand how to protect your intellectual property. If you come up with an awesome invention and decide to start selling it before filing for a patent, you only have a year to file for that patent or you will miss your opportunity. Patents can be very expensive, so you will want to decide whether it's worth the trouble or not. If you don't intend to make money from your invention (by selling it yourself or licensing it to others), you may want to skip the patent process if it doesn't fit in your budget. 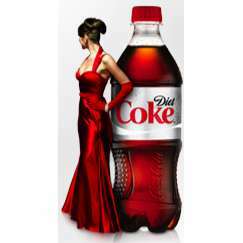 The rise of the Internet has made it easier for people to copy ideas and steal designs. 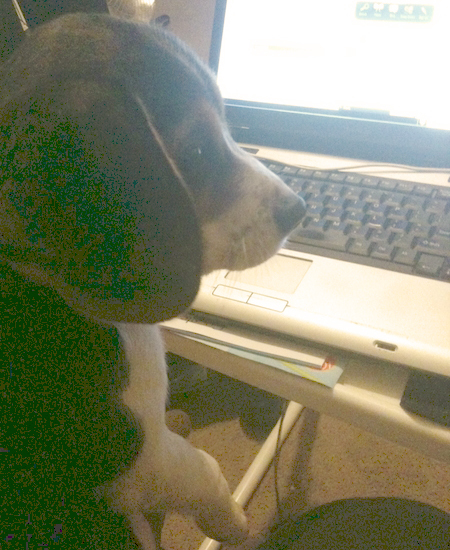 Fortunately, the Internet also makes it easier to research ideas, find resources, and file applications. I've seen recent blog posts from people who have discovered that someone else is using their blog name or business name. That can lead to some big problems! Make sure you register your business and keep good documentation so you can prove that you have legal rights to your name. One of the most intriguing things Bateman told us was that for small businesses, your biggest threat isn't your competitors....it's your employees. Employees can take more than just money from your company. They can steal your clients, copy your designs, and even share your paperwork with competitors. I work for a nonprofit residential treatment center that has been in business for over 27 years. In that time, they have developed their treatment philosophy, policies, procedures, employee training program, and handbooks for students, parents, and staff. Having been involved in developing some of those materials, I know how much work went into it and how devastating it would be for someone to share any of this with competitors. If other treatment facilities were able to quickly and easily able to adopt these documents as their own, it wouldn't accurately reflect how their facility compared to ours and they would be living off of our hard work. Last week's Etsy Wednesday pick is Kharliebug. If you're looking for some deals, she's having a clearance event with 60% off. Go to her Etsy shop to get the coupon code. She sells earrings, paper goods, hair accessories, and coffee cozies. 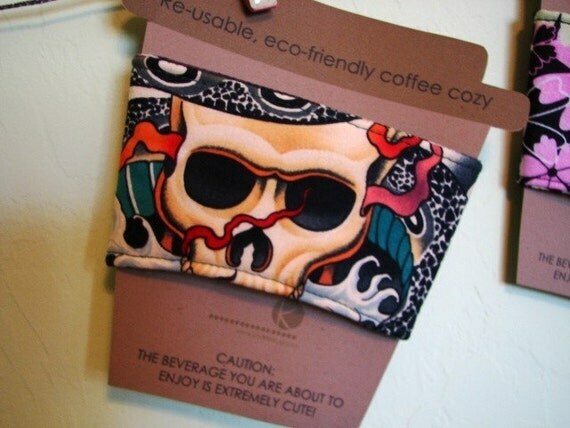 I couldn't resist showing you the "not girly at all" coffee cozy. It can be hard for crafters and artisans to remember that not everyone wants flowers and frills. Many of the tatting blogs I follow will showcase the latest tatting books that they were able to pick up on eBay or some little shop somewhere. 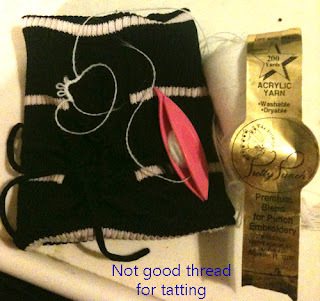 Tatters are very generous people and often exchange tatting, hand dyed thread (HDT), or artist trading cards (ATC). I've even seen impromptu giveaways of tatting booklets, shuttles, and other fun items. 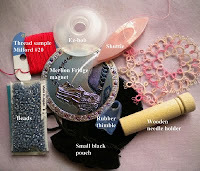 Tat-a-Renda posted a photo of all the goodies she received from another tatter, Aileen. One of the trends I'm enjoying is all the people doing new things with tatting shuttles. In addition to the Pop-a-Bobbin shuttles that I've mentioned before, there are a lot of creative shuttles being made. I really like this one that has a piece of tatting encased in the shuttle itself. I've seen some beautiful shuttles that are ceramic and hand painted, shuttles carved from buffalo horns and from a variety of lovely types of wood, and ones in styles from long ago where the thread is wrapped around the body of the shuttle itself instead of a bobbin or the core of the shuttle. Some people take their plain plastic shuttles and add some bling with paint, fabric, paper, Mod Podge, gems, etc. Threads of a Tatting Goddess showed off some of the ones she created. This trend is catching on as we get braver about decorating the shuttles in our own collections. I found a listing on eBay recently that I just had to get for myself. They are the cutest miniature shuttles, made from wood, and perfect to use for wearing as jewelry. I have to admit I kind of want to try tatting with them before I turn them into earrings. The shuttles are posed next to some coins so you can get an idea of the size. 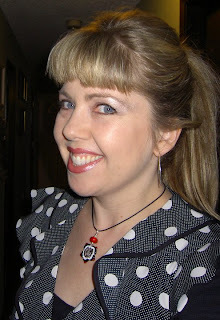 The doily in the background is one of the first doilies I tatted, about 20 years ago. With lots of and the United States focused on income taxes, I was taken by surprise when I heard the news about postal rate increases. Regular letter rates will be staying the same, but shipping packages will cost a little bit more. If you're like me, you probably cut it pretty close on what you charge to ship your Etsy products. The new rates for the USPS went into effect Sunday, April 17, 2011. Stamps.com has a list of changes for the postal rates. If you want to determine what your new shipping Prices will be, the USPS site has the information plus a postage rate calculator. When cool resource I didn't know they had is the prepaid Forever flat rate Priority mail boxes. You can pay the flat rate now at lower prices and then use them to ship whenever. This concept is similar to the Forever postage stamps, which are bought at current postage prices and can be used any time in the future. Since these rates are already in effect, you'll want to go through your product listings and reevaluate the shipping prices you are charging as soon as possible. 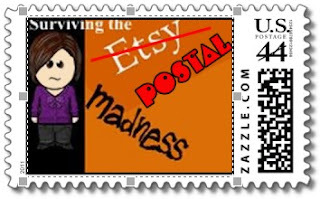 The easiest way to quickly changed the shipping amount on multiple items for your Etsy shop is to click on Your Account. Now, look at the menu on the left side of the page. Under Shop Settings, click on Shipping & Payment. There, you can create a shipping profile to cover different items with similar weights or shipping needs. For example, I have created profiles for very small items, small items, digital delivery, and heavier items. 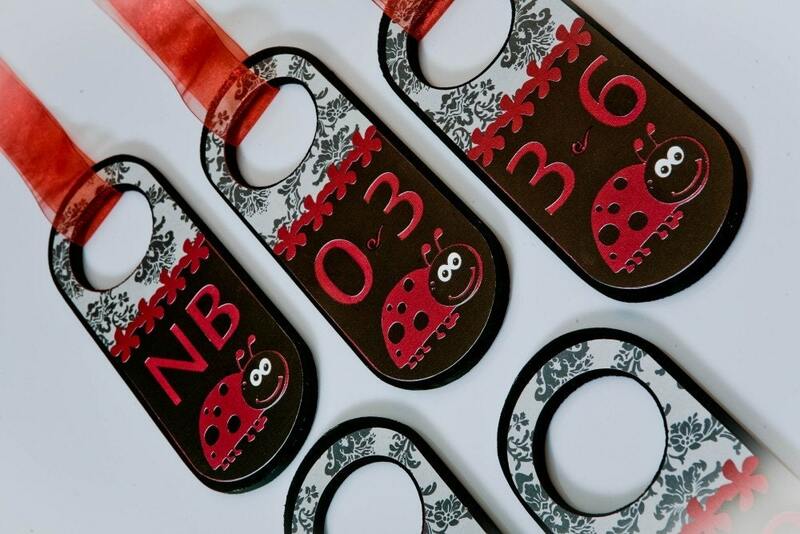 Whenever I add a new product to my shop, I can choose the shipping profile that best fits that item, saving me some time on entering information. Once you've created the profiles, this same page will allow you to apply the profiles to multiple items in your shop by clicking on Apply Shipping Profiles to multiple listings. I'm sure you'll find this useful not only for postal rate increases, but also for changes in the costs of packaging materials or to correct items that you accidentally placed in the wrong shipping category. 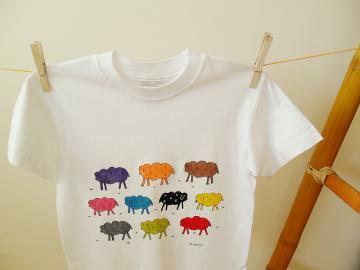 Relative newcomers to Etsy (Dec 19, 2010), Bear Stitches is a shop run by Florence and Louise. Based in Vermont, both ladies find inspiration from the color and natural beauty of their surroundings. Bear Stitches was born out of a bit of brainstorming as they tried to figure out what to do with their stash of fabrics. They had seen an article on Etsy in a magazine and decided to start a shop doing something they love. Florence says that one of their biggest challenges right now is getting noticed. 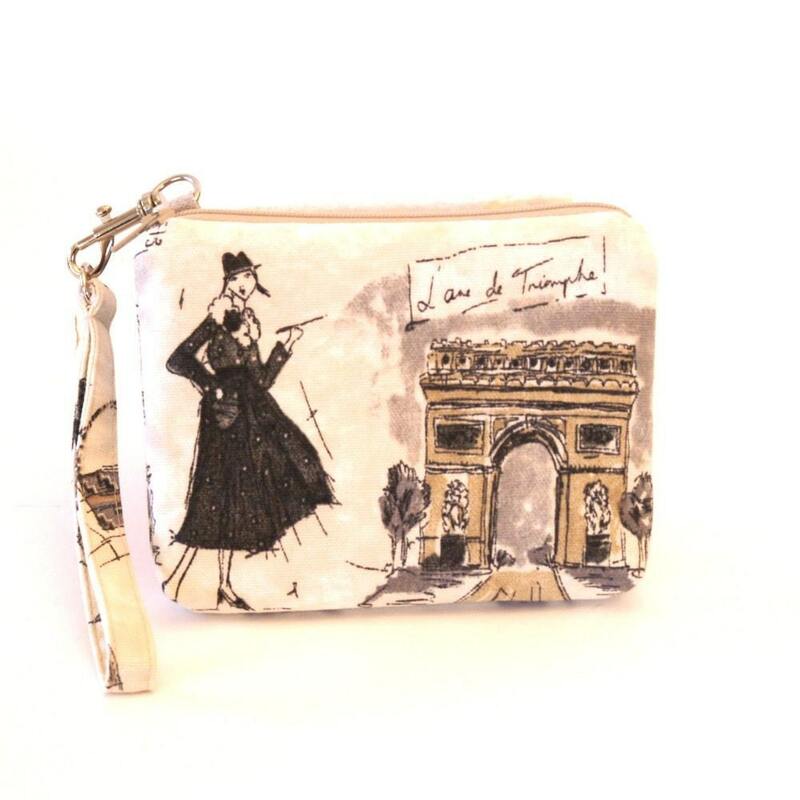 "There are so many bags on Etsy! We think we are different because we have been able to give work to women in our area by having them sew our linings and pockets. We live in an area of Vermont that has the highest unemployment rate in the State. A lot of the women in the area lost jobs when a major ski wear company took their manufacturing overseas. Even though many women found jobs, it is not doing the sewing they love. The more bags we sell, the more linings we need!" I love this wool Kindle case! What an awesome way to make a difference!! 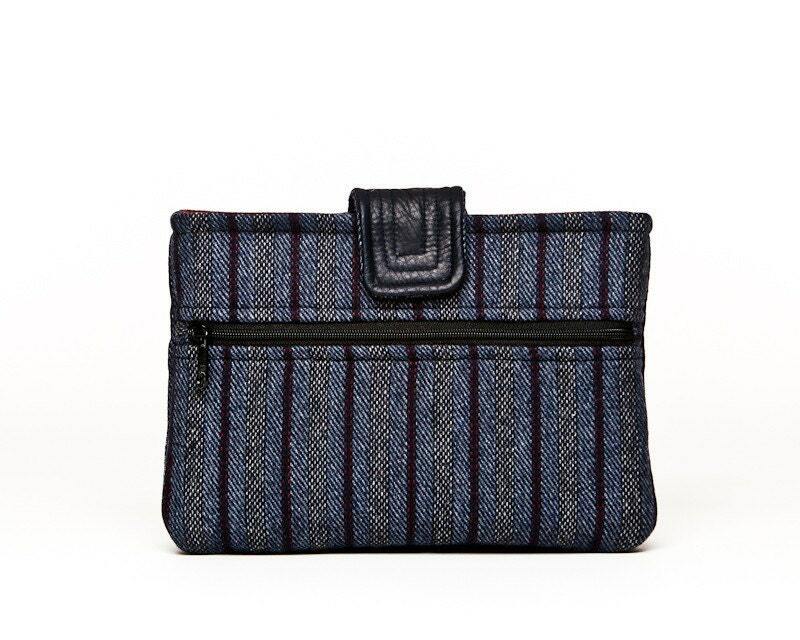 Another way they are making a difference is with one line of bags that they are making from upcycled fabrics. They are fabric samples that are in pristine condition, but would have been thrown away due to being discontinued. Bear Stitches saves these samples from becoming trash and their customers benefit along with the environment. This time of year is a hectic one for me, but I wouldn't trade it for anything. My "day job" at Heritage Schools, Inc. keeps me very busy throughout the year with fundraising, marketing, and more. Heritage is a nonprofit residential treatment center for youth ages 12-17 who have severe emotional and psychiatric issues. Because I'm more of an office person, I don't get to work with the students much. The one time I do get to know them is when we put on our musical productions. 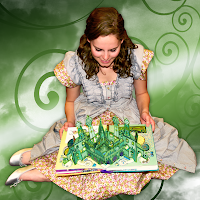 We bring in theater professionals to direct and choreograph the show, design and create the sets and costumes, and provide the technical needs of the show. 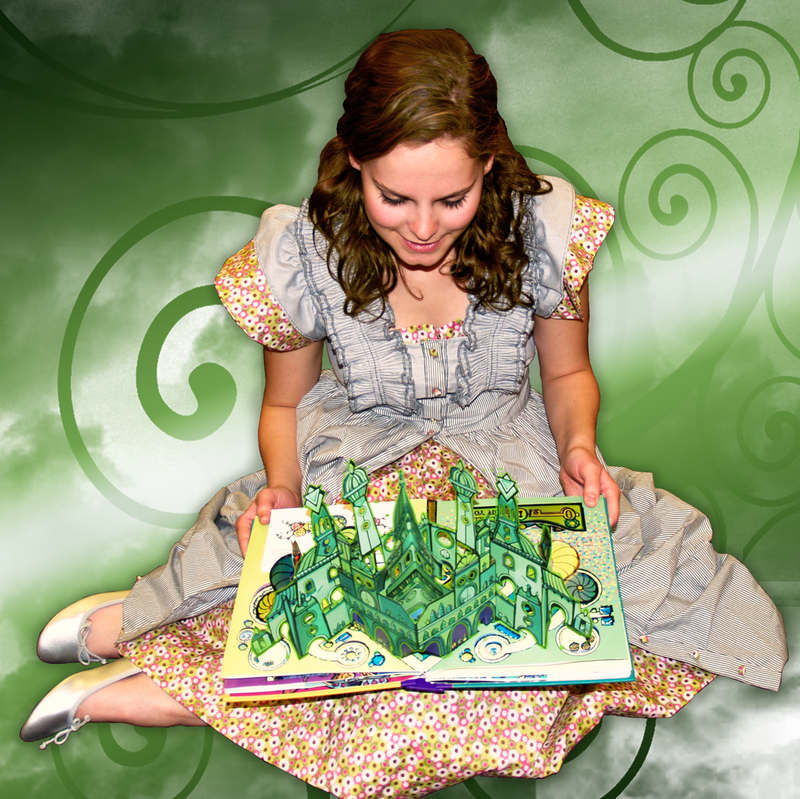 Every student who auditions gets a part - some of our shows have had casts of 60-70 in a show meant for 20. As much as we try to select the best kid for each part, we are also looking for the right part for each kid. There are months of rehearsals preparing to perform for the public. Along the way, some kids want to quit because they are frustrated or tired, feel uncoordinated, or even because their family won't be coming to see them perform. We talk them into toughing it out a little longer. 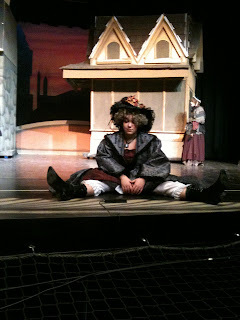 Rehearsals can create a lot of stress, triggering some problems with their illnesses. It's definitely a challenge to do a production where every member of the cast has some sort of serious problem - ADHD, major depression, bipolar disorder, OCD, schizophrenia, Asperger's, Tourette's, etc. Where do I fit into this? I'm one of those people in the background that takes care of things so things go smoothly. I used to handle all the ticket sales. Fortunately, we have more help with that now. Coordinating the rehearsal schedule keeps me busy, especially with all the other activities on our campus. 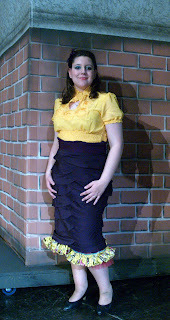 I've spent time assisting the play's director during rehearsals and I am backstage during performances to help with costume changes, props, and emergencies. A few years ago, I became responsible for putting the playbill and the poster together. I have watched so many miracles happen on our stage. Performing arts provides amazing opportunities - the chance to step outside of your own life, getting to be someone else, learning to work as a team and trust the people around you. I have seen kids with schizophrenia learn to ignore the voices in their head so they can perform. Kids with Tourette's have learned to work their tics into their parts and the other students will even surround them so the audience doesn't notice. Some have taken courage from their characters and learned to overcome paralyzing anxiety or even traumatic memories of being assaulted. I get to hug them when they're nervous or scared and have cried with them when they feel lonely or uncared for. They tell us how doing the play changed or even saved their lives. In the end, all the work is worth it. I put in some very late nights to create this year's poster for "The Wiz." There are some long hours ahead of me to create the playbill, too. We go all out in the playbill with photos of every student and a product that rivals Broadway. It's one of the most fulfilling things I do. By the end of the show, I feel like I'm the mom to dozens of teenagers. If you're in the Utah County area, I hope you can be in our audience. 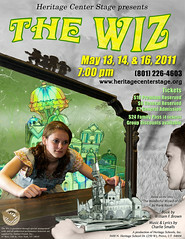 I'm still looking for sponsors and advertisers for the playbill as well. Your ad would reach 1,500 to 2,000 people and would be used beyond just the production dates (we use them as marketing pieces). Check out the Facebook page for this event or Heritage's blog post for more info about getting tickets to the show or purchasing an advertisement in the playbill. Last week's Etsy Wednesday pick is Cupcake Dream (Love that name!!). Based in Houston, Texas, this shop offers a lot of great digital creations. What caught my eye, though, were these adorable clothing dividers. With my first baby, I tucked away some clothes I thought were too big and the baby outgrew them before I remembered to get them back out. These dividers would really help keep things organized and your baby's room would look so chic! 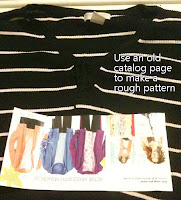 When one of the sweaters in my closet ended up being something I didn't wear anymore, I decided to try upcycling it rather than just toss it away. 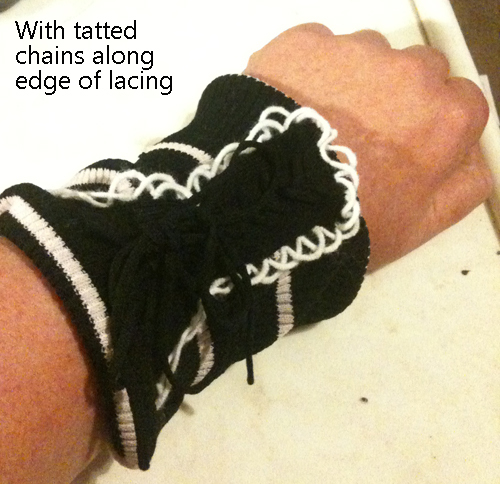 The front had a little lace-up part that I really liked, so I thought I would transform it into a kind of cuff bracelet. I grabbed a catalog destined for the trash can and used it to make a pattern that was wide enough for my wrist. Yes, sweaters are stretchy. 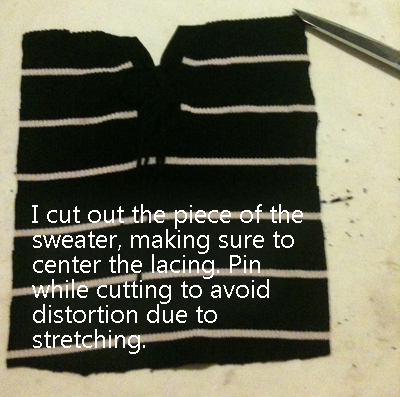 Make sure you pin the pattern to the sweater so it won't move during cutting. 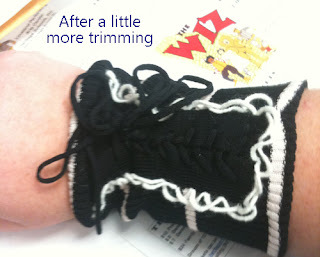 Even so, you will probably have to trim it up so you don't end up with wavy edges. 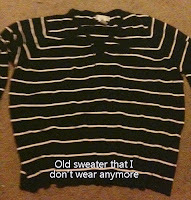 Cutting a sweater is also quite messy. 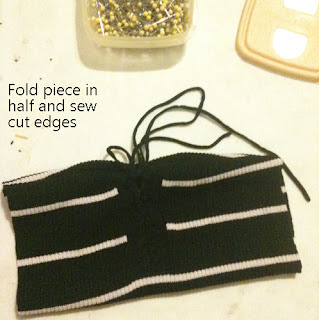 Since I was going to double the material over, that gave me one edge I didn't have to sew. 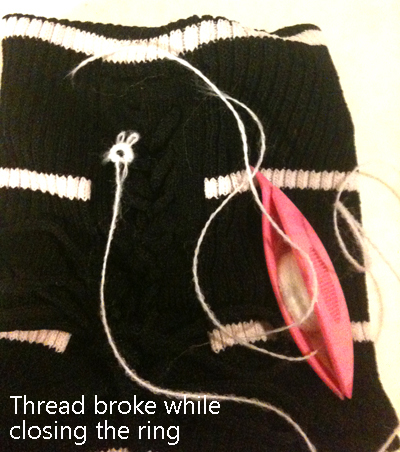 Because I was too lazy to get out my sewing machine, I sewed it up by hand. First, I sewed the open long edge. To sew the sides together, I sewed each layer separately. 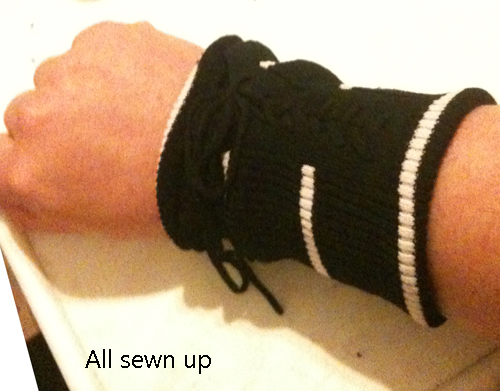 You could sew it all together at once, but then you will have a big lumpy line against your wrist when you wear it. Here is how it looked once it was all sewn up. I still really like that laced up look! Somehow, though, it still needs something. 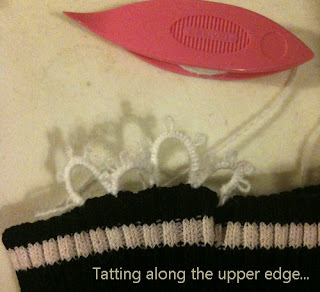 I decide to add some tatting to it. I was able to carefully close the ring, but the damage was already done. This project would take years if I kept trying to do tatted rings with this weak yarn/thread. 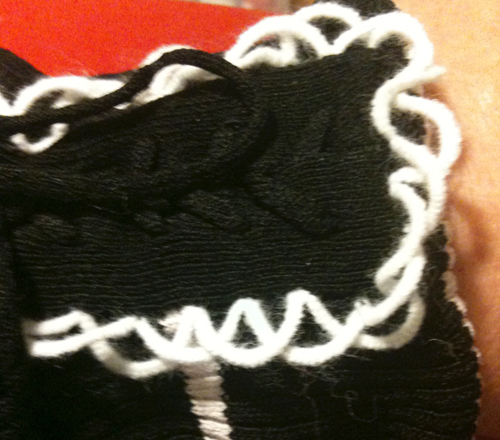 The area with the lacing gave me an area I could frame in a tatted edging. Since I didn't want it to look too boring, I did a row of chains of 25 ds and then went back around with another row of chains hopping back and forth over the chains of the first row. It has a fun, kind of messy look and I like it. Here is the finished piece. This is probably a longer cuff than most people would like, but I have very long arms with large wrists, so this works for me. I was pretty excited to wear the cuff bracelet to work today. There's something kind of Gothic or romantic about it. I also like that it's upcycled. After the first hour of wearing it, I realized that it moved around a lot and need to have a little more trimmed off so it would fit more snugly on my wrist. If you try this project, you might want to put some elastic inside before sewing it up for a snugger fit. 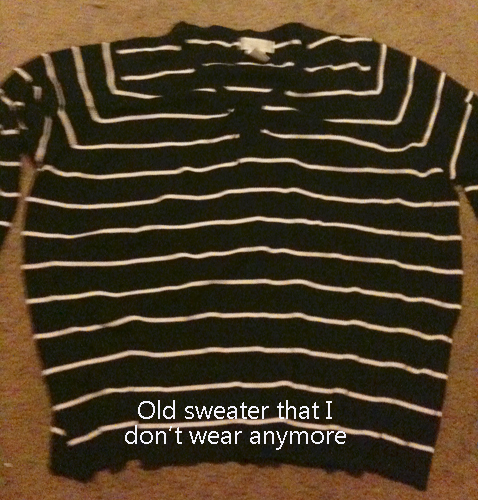 Since this was an old sweater, it probably had a little too much stretch to it. 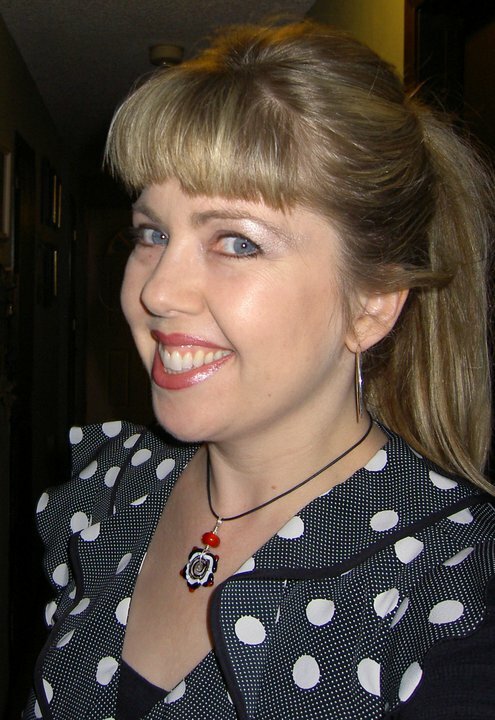 Now that I have some more people reading this blog, I thought I should let you get to know me a little better. 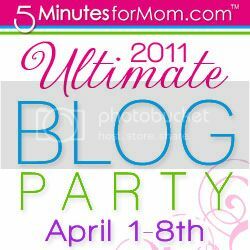 Also, There is an Ultimate Blog Party going on that made this the perfect time for this kind of post. I used to be so cute! Anyway....I was a bit of a smarty pants in school, so I started college at Oregon State University and thought I knew what I was doing. Several changed majors, bad decisions, the pressure of managing freedom, and the realization that I couldn't breeze through college work the same way I did high school work lead me to move to Utah. 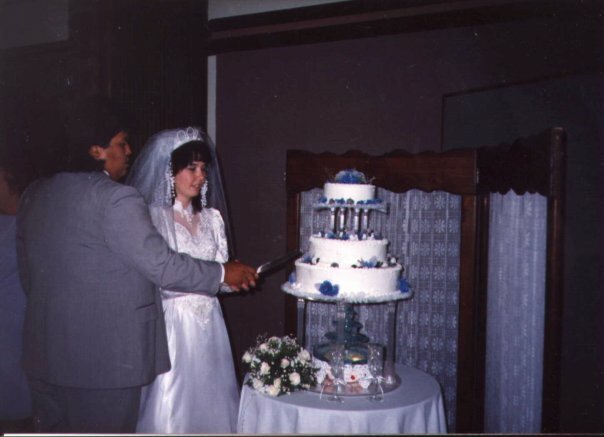 Here in Utah I met this amazing Navajo guy and we ended up getting married and staying here to raise our family. There's a bit of a thrill when you finally get to meet people who you only know from reading their blogs. I was really excited to meet Debbie Cranberryfries. Not only is she a great blogger, but her friendship with me on Twitter has helped me in some tough situations. Debbie's the one pictured in the blue striped sweater below. I also met some other bloggers who are now on my blog reading list. The staff at Blickenstaff's turned us loose to play with all the toys and to look for golden eggs hidden around the store. I found one of the golden eggs and my prize was this game - Rollick! The store is doing more golden egg activities this month, so check their website for more details.